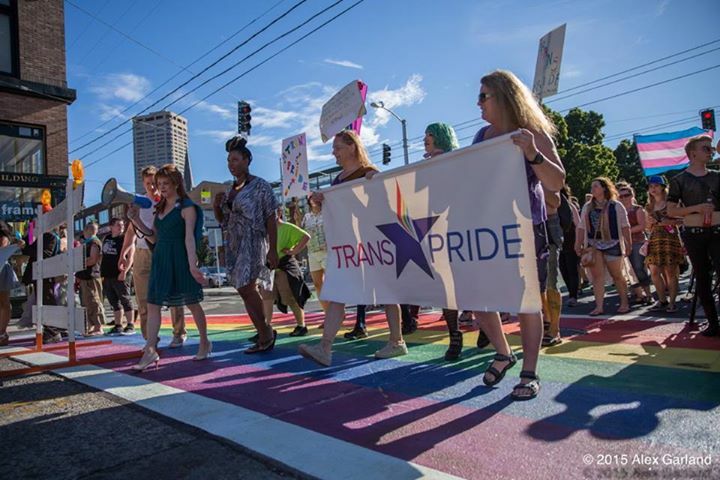 Please join us Friday June 24th for the 4th Annual Trans Pride Seattle! This event will follow the success we have built over the last three years. The Trans Pride March assembles at 5pm and steps off at 6pm at a Capitol Hill location yet to be announced. Followed by a celebration in Cal Anderson Park from 7pm to 10 pm featuring speakers Kris Hayashi, Gabriel Foster, and more to be announced! Afterparty location also to be announced. We will host community tables again this year featuring groups and organizations that are Trans-led or serve trans communities.